If you’re visiting Italy for a Flavours Holiday, it’s easy to tag on a few days to see some of the rest of the country. It makes sense, while you’re there. 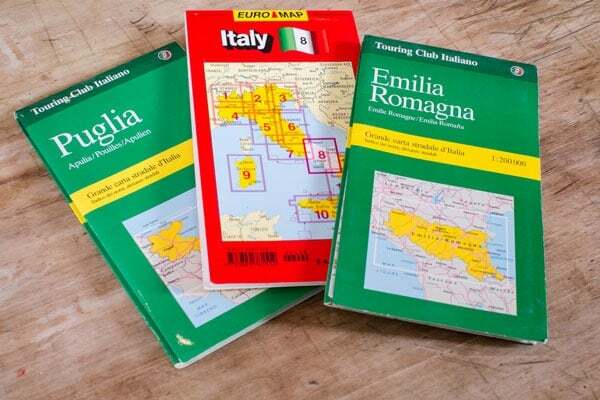 Getting around Italy needn’t be a headache. While car hire, parking, and narrow-laned Italian autostrada can be expensive and stressful, using Italian public transport is often a real pleasure and allows you to engage with Italian life directly. Train is the obvious choice, with excellent rail links between most towns and cities. A taxi or local bus can easily get you from your Flavours accommodation to the nearest station. Here’s some handy information about public transport in Italy, from where to buy tickets, to what to eat. Booking: There are central train stations in just about every Italian town and city. Trenitalia operates the network across the whole country. Their website – with English translation – is good for advance bookings. Or, if booking from home, try ItaliaRail a UK agency offering the same prices as Trenitalia, but a little simpler to use. Advance tickets can either be collected at the self-service machines in main stations, or you simply quote your 6-digit PNR (passenger name record) booking reference onboard. This is printed on your confirmation email. You can also buy tickets from the UK by phone, using specialists International Rail on 0844 248 248 3 (9am-5pm Monday-Friday). They’ll usually email the tickets to you. Advance bookings will get you the cheapest fares, in the same way as they do in the UK. The schedule is usually fixed up to 120 days in advance. We don’t recommend buying a rail pass unless you’re travelling extensively, as you’ll still need to book seat reservations, so it doesn’t cut out much work. Also, the passes don’t cover some big private train operators (such as Italo, a private operator – think Virgin in the UK) and it can get confusing. Of course, you can also buy tickets at the station before travel at the handy multilingual machines (which accept notes, coins, and cards), or at the biglietteria ticket office – though the machines might speak better English, and have shorter queues. Some ticket desk operators like to chat away to regular customers even if there’s a long queue! You do need seat reservations on most trains. These can be prebooked, or done on the machines right up to just before the train departs. You can also get tickets and seat reservations at major travel agencies in Italian city centres, prebooking all your trips in one go if you like for a few extra euros. The Railplanner app is useful for train times while you’re in Italy. What’s the difference between the trains? Le Frecce trains: High-speed service on the main lines between Milan-Venice-Bologna-Florence-Rome-Naples. These are divided into the newest, fastest Frecciarossa (red arrows, 186m/h), Frecciargento (Silver Arrows 150m/h), and Frecciabianca (White Arrows, 125m/h). Reservations required. Italo: Privately operated high-speed trains which run in competition with state-owned Trenitalia Le Frecce trains on Turin-Milan-Bologna-Florence-Rome-Naples and Venice-Florence-Rome-Naples routes. For more info, see the Italo website. Reservations required. EuroCity, InterCity, InterCity Notte (sleeper trains), and International: Slower trains. Overnight trains have a choice of seats, couchettes or sleeper compartments in 1st and 2nd classes. Reservations required. Travel by sleeper train is an adventure in itself, and great if you’re going, for example, from Sicily all the way up to Venice. There are various classes and different types of accommodation, shared or private. For a more detailed guide on the various sleeper trains, have a look at ItaliaRail’s sleeper train page. Regional trains: Smaller trains, for example, for travelling within Tuscany on shorter routes. Validate your ticket for regional trains in one of the green machines on the platform. No reservation required. Bring your own! There are usually good options at larger stations, but food on the train can be patchy, and varies depending which type of train you’re on. On Le Frecce services, particularly the new very-fast trains, there should be either a food car or a pushcart, but, as in Britain, it’s overpriced and not always the best quality. Taking a bottle of wine and a hearty picnic is totally acceptable. Italian’s like to chat on trains, too, particularly in the more leisurely south. You can offer a neighbour a glass of vino to be friendly if you like. At least be prepared to say ‘buon giorno’ and converse – in broken Italian or basic English – to your fellow passengers a little. There are metros in Rome, Milan, Naples, and Turin, as well as mini versions in Genoa and Catania. Buses in towns and cities are generally good. Services are limited on Sundays and public holidays. Buy an inexpensive bus or metro ticket before boarding – at a tabaccaio, newsstands, ticket booths or machines at bus and metro stations – and validate them once on board. Many cities offer 24-hour tourist tickets. These (and Uber in the large cities) operate in the usual way. If you call a cab, the meter starts running from when you’ve called rather than when you’re picked up. Most short city journeys cost between €10 and €15.